I visited Disneyland first as a young child in the early 80s, and I was smitten immediately. We lived in Anaheim close enough to enjoy the fireworks from our front yard, and we visited as often as I could get my parents to take us. In the early 90s I got my first annual pass and I have been an annual passholder for over 25 years. I don’t know exactly, but I have probably been to Disneyland over 1,000 times including my brief stint as a cast member in 2007. As a Cast Member, I was able to be part of the team that opened Finding Nemo Submarine Voyage and I also worked at my dream attraction job, Star Tours. I have also been fortunate to be able to stay at two of the resort hotels, the Grand Californian and the Disneyland Hotel. In 2008, I was finally able to travel to Walt Disney World. Since then I have been there almost yearly. I have stayed at 5 different resorts in our visits. One of my favorite trips was in 2014 where I was able to run the Walt Disney World Marathon. My wife and our 3 kids live in Southern California and all love to travel. We have had the privilege to travel as a family often. I would love to help create a magical vacation for you and your family utilizing my joy for travel and experience I have gained over the years. For me, planning and the details are part of the fun of vacations. IF REQUESTING A QUOTE PLEASE REMEMBER TO INDICATE tony bermudez IN THE "HOW DID YOU HEAR ABOUT MAGICAL PARTNERS TRAVEL?" PORTION OF THE QUOTE REQUEST. 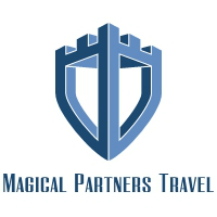 Magical Partners Travel is not affiliated with, maintained by, or in any way officially connected with the Walt Disney Travel Company or any of its business units. Walt Disney World & Disneyland are trademarks of The Walt Disney Company. All Disney character images some photographs, some sound clips presented within this site are copyright © the Walt Disney Company. All other content ©2018 Magical Partners Travel.